I have been on a white overall hunt for quite some time, and thanks to the American Apparel factory, I found the perfect one for 20 bucks. It is the place to shop if you are woman on a budget. The zipper pocket detail placed on top of the bib gives it an edge. I love pockets! If I had my way, they would be placed on every article of clothing. 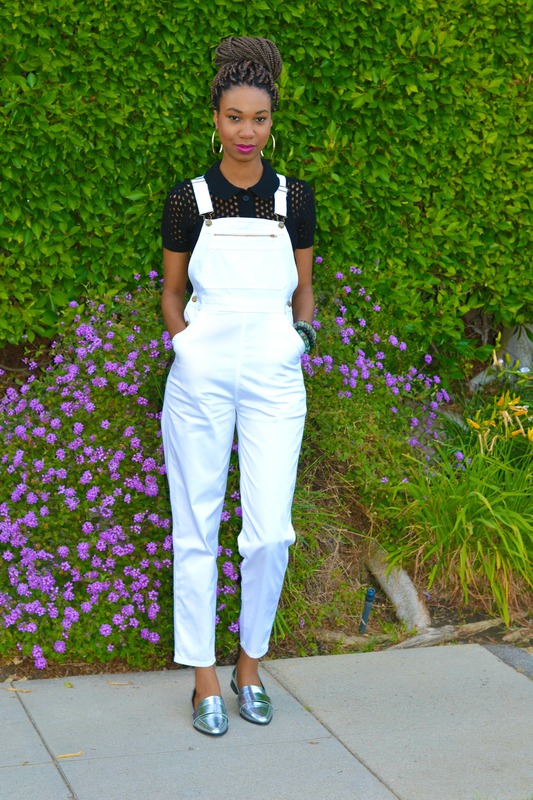 I paired the overalls with a black knit collared shirt, gold earrings, and metallic loaffers. This is the perfect look to wear for brunch or a kickback in the summer. What would you mix and match with this piece?